Kellyanne Conway briefs President Trump on the overdose crisis. The hardiest urban legend of the US overdose crisis — the idea that deadly amounts of fentanyl are tainting the illicit marijuana market — is being spread by officials at the White House and the National Institute on Drug Abuse (NIDA). At a news conference last week prior to briefing Trump on the crisis, Kellyanne Conway, the White House’s opioid crisis czar, warned of the risks of illicit fentanyl turning up in other drugs, including marijuana. Although that is true for heroin, and in some cases cocaine and methamphetamine, fentanyl-laced marijuana is not a real risk, according to experts who are concerned about senior leadership at the White House and elsewhere in the federal government repeating an urban legend. 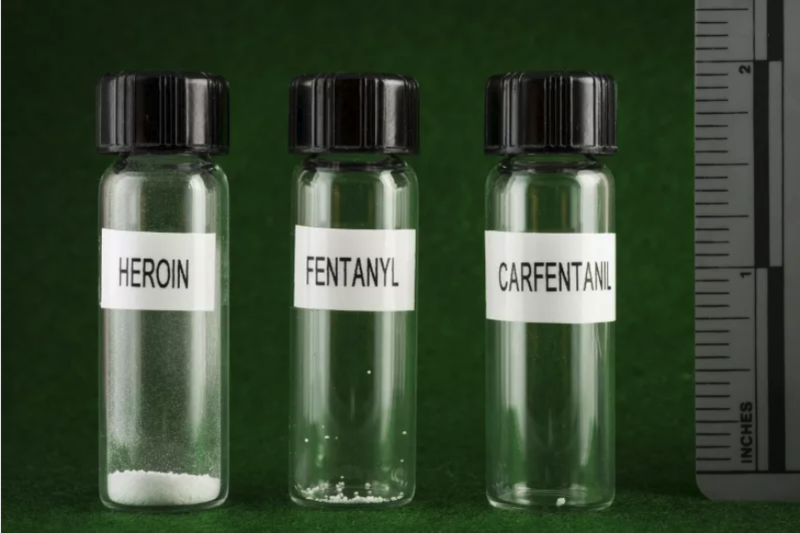 “This is part of a wider fentanyl panic that goes beyond having alternative facts [and] leads to bad decisions,” Northeastern University drug policy expert Leo Beletsky told BuzzFeed News. The US overdose crisis killed around 70,000 people in 2017, sparking a national emergency declaration by President Trump. Fentanyl killed at least 30,000 of those people, CDC statistics suggest. The increasing presence of the drug in the heroin supply on the East Coast, as well as in some batches of cocaine and methamphetamine, is blamed for the surge in overdose deaths, which have more than doubled since 2016. But fentanyl hasn’t shown up in any marijuana seized by the Drug Enforcement Administration, the agency’s Jill Head, a senior chemist, confirmed earlier this month at a National Drug Early Warning System briefing. Finding fentanyl in cannabis would be worrisome because so many people use marijuana — 22 million Americans a month, compared to the roughly 600,000 who use heroin. Asked why Conway mentioned fentanyl-laced weed given the DEA’s lack of findings, White House press officials pointed to a 2018 speech by NIDA head Nora Volkow. "Fentanyl is being used to lace a wide variety of drugs, including marijuana,” Volkow said in the speech. NIDA’s press office, in turn, referred to “anecdotal reports” of fentanyl in weed from police departments, specifically a 2015 Vancouver police report claiming “fentanyl-laced marijuana” was killing drug users. The following year, however, Vancouver police officers told local newscasters that they hadn’t actually seen this. The other evidence of cross contamination comes from toxicology tests on people who died of an overdose. That isn’t a sign of drug dealers purposefully adding fentanyl to marijuana, but rather that many drug users take all kinds of drugs. “The smoking gun,” Ciccarone said, would be a positive test of a marijuana sample that contained micrograms to milligrams of fentanyl. (As little as two milligrams can be a lethal dose of fentanyl, according to the DEA.) No such record appears in the scientific literature. 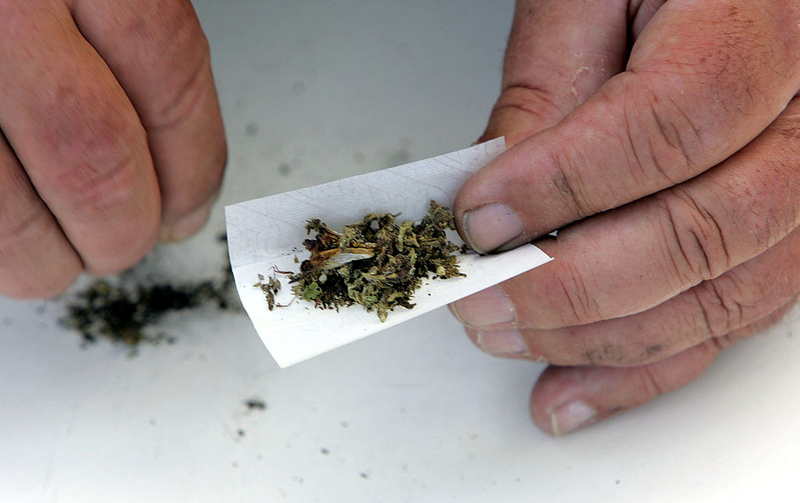 Synthetic cannabinoids, also known as K2 or "spice." One other source of confusion might be the incorrect reports of fentanyl lacing synthetic cannabinoids in a New Haven, Connecticut, incident that saw 71 overdoses in one day. Synthetic cannabinoids are sometimes called “fake weed” because they are labmade chemicals sprayed on shredded leaves to resemble marijuana. In 2017, claims by Canadian officials of fentanyl-spiked marijuana deaths sparked confusion, despite coroners reporting no cases. Conway has been criticized for repeating the claim in the past, such as at a March 1 conference for conservative activists.